Nitrous oxide sedation, also called Relative Analgesia (RA), happy gas or laughing gas, is a form of conscious sedation where your child remains awake throughout their dental treatment. The aim of this technique is to make treatment more comfortable, decrease anxiety and provide a state of relaxation. This technique is often used in young children who are able to tolerate a nasal hood (mask). Please ensure that you do not bring any other children to the sedation appointment as your child will require your full attention. Children easily perceive anxiety in others, especially anxious parents! Please assist us by reassuring your child before and after their procedure. Do use words with negative associations such as needle, pain, or injection. The dentist will explain the procedures to your child, step by step, on the day of appointment. Numbness of the mouth, especially of the lower lip, can be an unusual experience for children. Please remind your child not to bite or pinch the numb lip (or tongue). In the event that your child does bite their lip or tongue, an ulcer will develop. This should heal on its own in 7-10 days. Drinking a cold drink through a straw can have a soothing effect on a numb mouth. Your child may have a light breakfast or meal before the appointment. 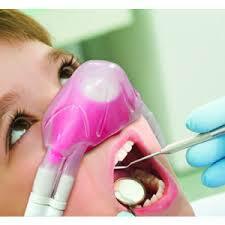 Nitrous oxide sedation appointments are often carried out in the mornings if children are more receptive at that time. This can help them to accept treatment more readily. Parents/Guardians are usually allowed in the room during treatment. However, we ask you to remain quiet during the procedure. The voice of a parent is very familiar to a child so children divert their attention away from instructions given by the dentist. From time to time the dentist may invite you to ‘help’ but if this is not done, please assist us by adopting a passive role during the appointment. 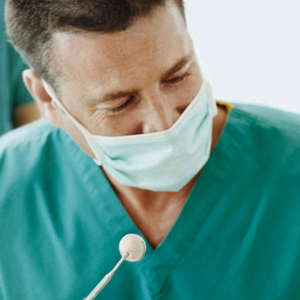 Ensure that your mobile phone is set to silent or switched off as noises distract patients under sedation. If your child is having difficulty with treatment, you may be asked to take a seat in the reception area. This approach often helps children regain their composure. Although every effort is made to provide treatment under RA, this technique is not successful 100% of the time. Your child may require a different approach should they be unable to cooperate throughout the appointment. Side effects of nitrous oxide may include, nausea, feeling unwell, not being able to cope with the nasal mask (claustrophobic), tingling of the hands/limbs and in some rare cases vomiting (hence the need to only have a light meal).